After a long wait and some confusion with pricing, Tesla finally started to deliver the Tesla Model X Signature series in Canada this week. The first few vehicles were delivered in Vancouver, British Columbia. Tesla received its Canadian homologation from Transport Canada late last month and deliveries were anticipated to follow soon, but the first few Signature Model X owners, some of which had placed a reservation over 3 years ago, can now enjoy the first all-electric SUV in Canada. 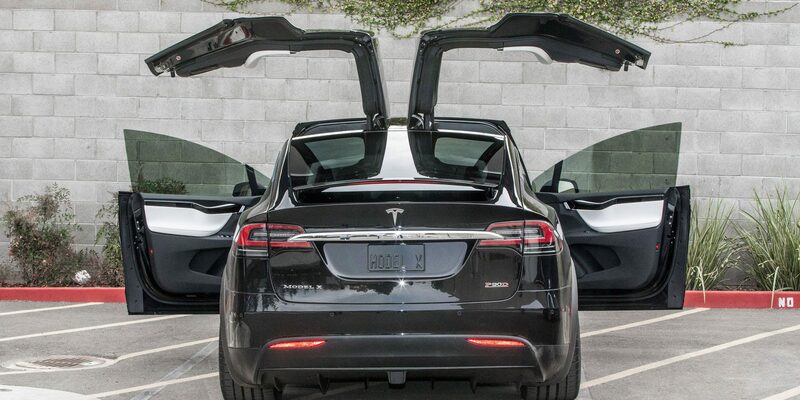 Model X production series are expected to follow soon. To celebrate the occasion and promote sustainable transport, two Tesla enthusiasts and one of the first couple to own a Model X in Canada, Silke & Rolf, are embarking on a cross Canada trip with their Model X towing a camper trailer equipped with solar panels and an extra battery pack. There was a lot of confusion among reservation holders when Tesla first released its pricing for the Model X in Canada. We published the design studio and tried to make sense of it with representatives from the company, but we couldn’t and concluded that the premium for the Canadian version was simply excessive at the time. At one point, the price of the Model X in the country was ranging from $120,000 to $226,700 (CAD), which simply couldn’t all be explained by the exchange rate, but Tesla has now adjusted the prices and since owners are only now taking delivery, it looks like no one will be paying those prices. The prices now range from $106,000 (CAD) for a Model X 75D to $197,650 (CAD) for a fully loaded Model X P90D. The prices are now more in-line with the Model S prices in Canada – with a premium like in the US, where the SUV with similar options is priced about $5,000 (US) higher than the sedan.